More than 400 motorists a month have been arrested for drug-driving since the new offence was introduced at the beginning of March, according to a nationwide survey. But while some police forces have apprehended scores of offenders, others have arrested none. The statistics were obtained by the Institute of Advanced Motorists (IAM) under a Freedom of Information Act request to all police forces in England and Wales. The responses from the forces cover a range of dates from March 2, when the new offence of drug-driving came in, to the end of May. 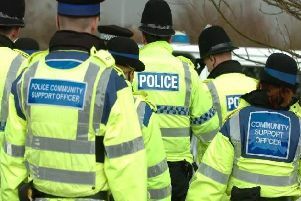 Lancashire police made 10 arrests in the period leading up to May 11. The Metropolitan Police recorded the highest number of arrests, with 214 in the period March 2 to May 11. Next was Northumbria Police with 97 arrests, then Cheshire with 70, Sussex with 58, and South Yorkshire Police with 55. At the opposite end of the scale, details from Leicestershire, Warwickshire and Gwent showed these police forces had yet to make any arrests. The new laws introduced i set limits at very low levels for eight drugs commonly associated with illegal use, such as cannabis and cocaine. Eight prescription drugs were also included within the new law, including diazepam, methadone and morphine.